The latest LP from one of Brazil’s finest techno talents launches out of the starting blocks full of intent and, perhaps even more pronounced, the kind of fresh, uptempo and inviting beats that invoke quality nights on the cusp of peak time. A fitting follow up to his last long-form outing then, which also appeared on Christian Smith’s Tronic imprint. Once the opening number, Glider, has done its job- setting the scene to come via that jacking rhythm and some renegade synth arpeggios that spell nothing but party- the commanding atmosphere doesn’t really let up. From the five or so tracks that follow we have the disco influenced Atitude (all refrained filters and rolling drums), the bouncy, stripped bleeps of Backlash, and the weighty low end stomp of On You. Even the deep, progressive-tipped breaks affair entitled Clockwork could hold its own during the most vital hours of a night out. Of course this means both consistency and repetition, so if you’re looking for a bunch of dancefloor shakers boasting techy hooks and a similar ethos- namely moving bodies via solid, drummy but not too aggressive arrangements- then consider the search over. Detailed percussion, and perfectly timed moments of comparable calm in abundance, that the last seven tunes here morph the whole thing into some distant cousin of electro makes it all the more enjoyable. 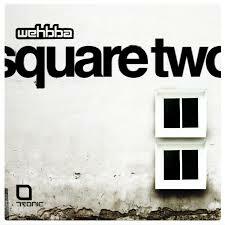 Fare like the decidedly dirty (not to mention massive) No Face No Problem, slow space pop outing Ruff Jam (complete with sax, we might add), and the glittering builder Whatever, prove Wehbba’s ability across a variety of micro-canons, making for a two-sided record. As such, with both halves equally consistent, we’d say it’s a job well done.